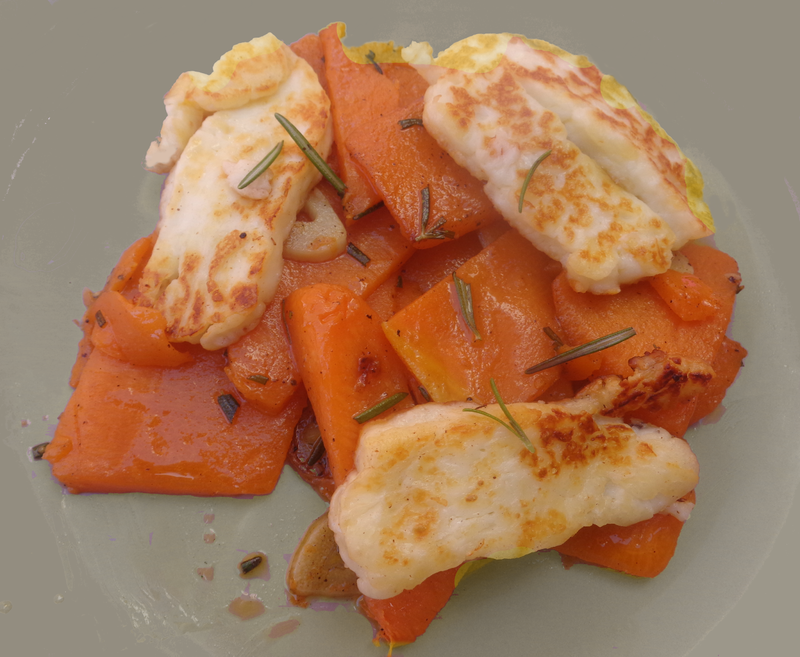 That's pumpkin with rosemary & halloumi cheese? Surely not, I hear you say. The photo's aren't exactly what they seem. They say that chicken and carrots are good food pairing for nutrition but as simple as this plate of food looks, it is a lot more interesting than just your simple chicken and carrots. Being able to identify what flavours work well together is a real challenge. If you've not explored food pairing, halloumi cheese with pumpkin and rosemary will hopefully inspire you to be more adventurous with flavour cominations. 1. For the pumpkin place the pumpkinp in a bowl with 2 tablespoons olive oil, garlic and fresh rosemary into a large bowl and season to taste with salt and freshly ground pepper. Mix together. 2. Heat a frying pan over low heat. Add the pumpkin mixture and fry gently until cooked through. 3. 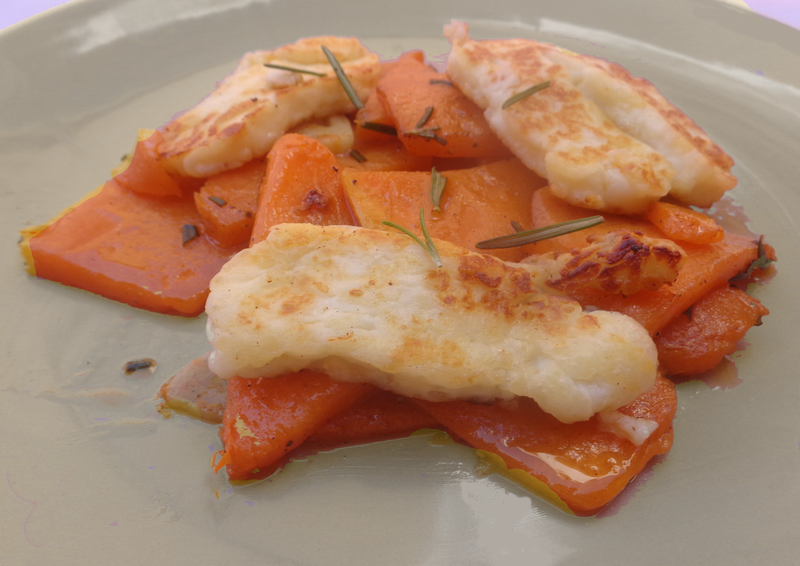 For the halloumi cheese heat the remaining oil in a separate small frying pan over medium heat and fry for 2 minutes on each side until golden brown. 4. Serve the pumpkin on a warm plate with the halloumi cheese on top.